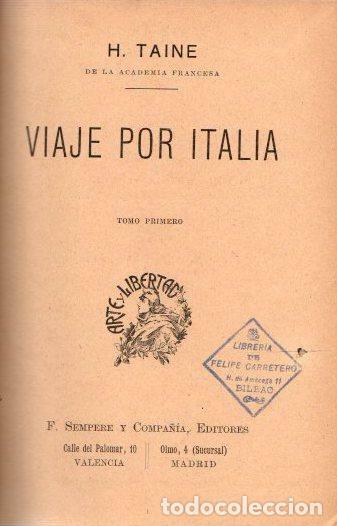 Viaje por Italia. Tomos I, II y III - Taine, H.
VIAJE Á ITALIA. NÁPOLES. - TAINE, H.
VIAJE Á ITALIA. VENECIA. - TAINE, H.
VIAJE POR ITALIA 2 TOMOS - TAINE, H.
VIAJE POR ITALIA. TOMO II. NÁPOLES Y ROMA - TAINE, H.
Hora oficial TC: 01:00:44 TR: 151 ms.